As advertised, I will stop the mathematical presentations for a little while and I will present interesting talks from New Direction in the Foundations of Physics 2014 conference in Washington DC. The first talk was by Daniele Oriti and was entitled “The Bronstein Hypercube of Quantum Gravity”*. To introduce the topic I wave to say a bit about the Bronstein cube. Matvei Bronstein imagined a cube specified by the fundamental constants of nature and placed at the corners various limiting theories. and in each node all lines are suppose to make 90 degrees angles (impossible to build in 3D), but you get the picture. The point is that in addition to gravitational constant, the speed of light, and Planck’s constant we need to consider N-the number of degrees of freedom- because the limits for large N is qualitatively different. For example, it is evident that fluids represent an emergent behavior of a large number of molecules under certain conditions. Here is a picture from the talk illustrating emergence of new physics in case of a large number of degrees of freedom. But what is the basis for this, particularly in the case of gravity? 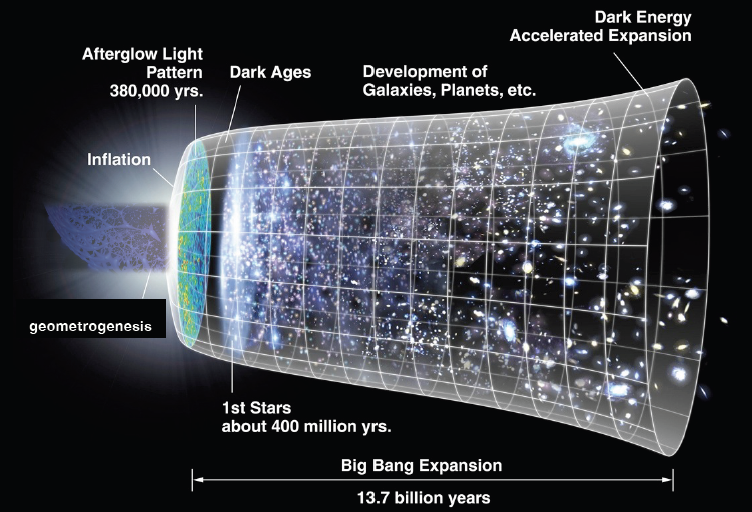 Is space-time intrinsically discrete and what we experience is only an emergent property? Loop Quantum Gravity: based on spin networks (graphs labeled by algebraic data). It has discrete spectra and uses path integral and Regge calculus. Tensor models: removes algebraic data and keeps only the combinatorics. But how is smooth spacetime and geometry emerge from many discrete building blocks? This is the key question in quantum gravity. 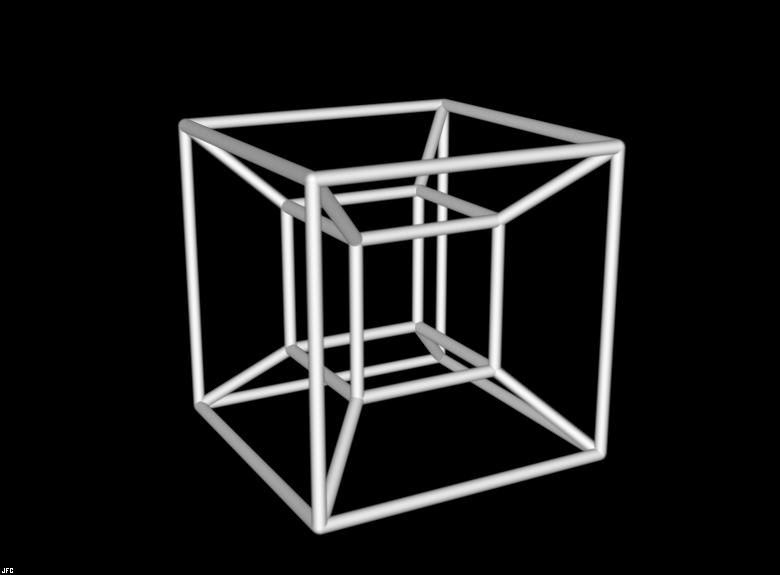 In the original Bronstein cube, in the limit of large N, classical and quantum mechanics will generate solid state physics and condensed matter-fluids/hydrodynamics. A crucial tool in the large N limit is the renormalization group. Then one can perform for example GFT renormalization in standard quantum field theory. There are major conceptual and technical issues however. For example the fundamental degrees of freedom are ambiguous because they depend on the vacuum state (which corresponds in algebraic field theory to the representation of the algebra). Also you need to prove the emergence of robust novel properties. As a standard example of emergence one can consider the Bose-Einstein condensate where you have a single collective wavefunction responsible for superfluidity. The emergence problem for quantum gravity is a major open problem in physics and there are some tempting speculations that we can understand the Big Bang as a phase transition for example. In everyday life we experience phase transitions every Winter when liquid water tuns into snow and ice. 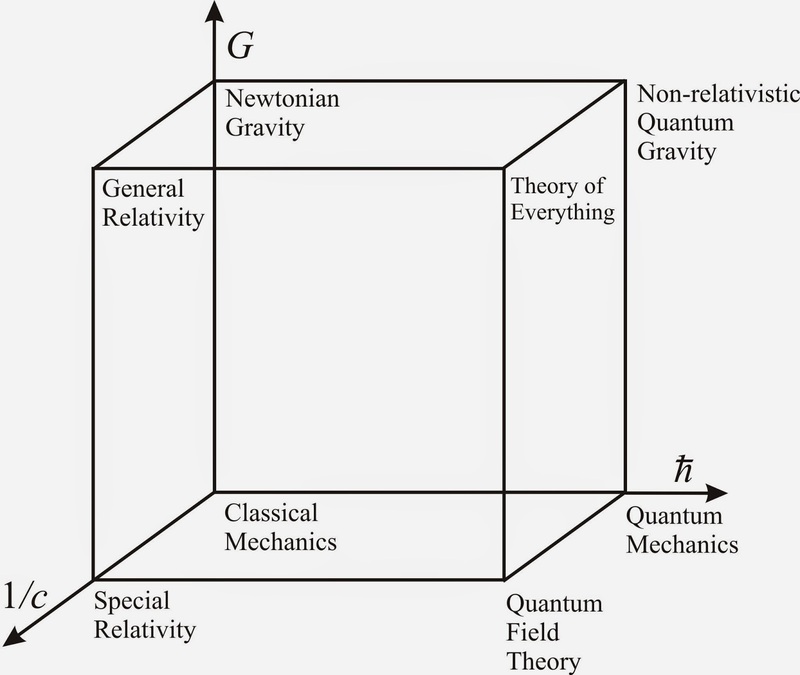 Maybe the universe started its existence by condensing some primordial "quantum gravity atoms" into space-time. And maybe before the inflation period “geometrogenesis” occurred. When we will have a good model for the emergence of space-time we can investigate if other phase transitions can be physically realized. So the prospects are exciting and amazing if we will be able to work out the problems. Until all the puzzles of quantum gravity are solved, here are some interesting results showing the way for the emergence problem using GFT renormalization: arXiv:1303.3576 (PRL 111 (2013) 031301) and arXiv:1311.1238 Here (states of) macroscopic homogeneous universes are build as condensate states in group field theory. This is similar with coherent (condensate) states in Bose-Einstein condensates, and the effective dynamic is extracted directly from the underlying quantum theory. For the benefit of the reader, let me make a few additional points not directly relevant to the talk but which help frame the general context: is it really necessary to quantize gravity? The answer is yes because it can be shown that there are no consistent mixed theories of quantum and classical physics. And with quantum mechanics we naturally encounter discrete spectra which give rise to quantized areas and volumes. String theory takes another route and presupposes a continuous space-time background, but the supporters of loop quantum gravity and related approaches counter that with the main lesson from general relativity that there is no such thing as an absolute background. String theorists reply by pointing out that a discrete space-time would have measurable consequences, like violations of Lorenz symmetry for light. Why? The same reason the sky is blue: light gets scattered by the molecules of air and different colors (wavelengths) scatter differently (in particular the blue color gets scattered the most). Similarly light can get scattered by the granular structure of space-time. The effect is small, but it can be amplified over galactic distances. This was tested with supernova explosion observations which checked the arrival time of various wavelengths and no delay was observed. So the background independent theories should also solve the Lorenz symmetry problem, but it is hoped that space-time emergence will take care of this issue. * I thank Daniele Oriti for giving the permission to post his completye talk. Please use the link to view the document. I also thank him for suggestions to make this post better. I am not an expert in quantum gravity and I am the sole person responsible for any inaccuracies in this post. Let us continue the discussion about homotopy and introduce some definitions. Let π0(X) be the set of paths in X and let π0(X,p) be the set of paths containing the point p. Remembering from last time, we want to make closed loops and consider a unit circle which parameterizes a loop. Then for each point p of X we can introduce a loop space “Ωp X” which is the space of maps from the unit circle to X and for which p is the starting point of the loop. So for example π2 represents the first homotopy group of the loop space meaning we cover X with a surface and we try to continuously deform it to a loop. In higher dimensions, this becomes a nightmare of visualization and we need a way to compute those groups algebraically (we need a mechanical method relatively free of visual intuition). And why do we want to compute those groups in the first place? The point is that spaces with different groups are distinct. As a group, π1 is non-abelian in general, and this points the way towards a key simplification: let’s construct an abelian (commutative) group out of π1. This will be the first homology group, but we are not yet ready to discuss it. Instead let’s try to understand what abelianization means. It means that we don’t care about the point p and we replace the closed loops with cut and stitching operations, the same way a tailor is making clothes. For example take an inner tube which is equivalent with a doughnut, or torus. If we cut the inner tube along its two circles we obtain a flat surface. Equivalently, if we stitch (glue, zip) a rectangular piece of cloth along the opposite sides matching the stitching direction, we obtain a torus. As a nontrivial example of a torus, in early computer games, because of memory limitation, sometimes an object exits through the right edge of the screen and reappears from the left (the same behavior at top and bottom). Probably the best way to understand cut and stitch is to try to understand the technique of the proof of a problem mathematicians solved around 1900: what is the complete classification of two dimensional compact surfaces? Two dimensional surfaces are easiest to visualize and it turns out that orientability and Euler’s characteristic are the only ingredients needed for a complete classification. For the record, the answer to the classification problem is that the surface is characterized by the numbers of “holes” (or genus) and the numbers of “cross caps”. 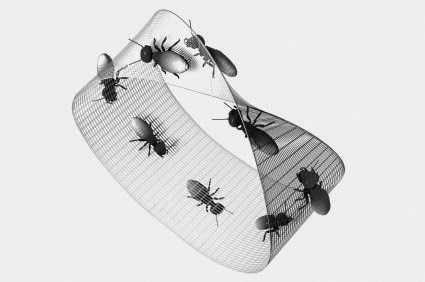 Euler’s characteristic was discussed two posts ago, and non-orientability is easy to understand using Mobius band. Now it is (relatively) straightforward to solve the classification theorem for 2 dimensional compact surfaces. All we have to do is to cut the surface until we obtain small flat pieces, remembering the stitching back instructions. Then we need to find some equivalent way of writing stitching instructions in a “standard normalized way”. In the end we tally all “standard normalized ways” and obtain the proof. 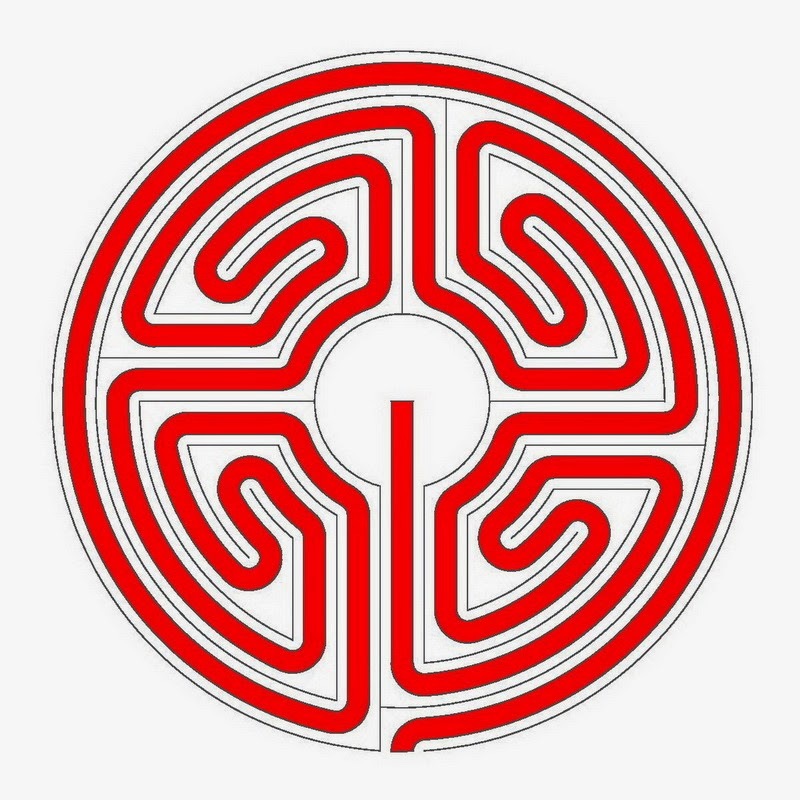 If you are new to algebraic topology, I highly encourage you to invest the time and energy to watching and understanding those lectures. The technique of the theorem’s proof will naturally introduce us to a way of thinking about homology. Homology is related to the boundary of a space. The link with physics is that integration on the boundary can tell us essential things about the bulk (does Gauss theorem ring a bell?) Moreover when we jump from homology to cohomology, we’ll see that differential forms can also reveal information about space. 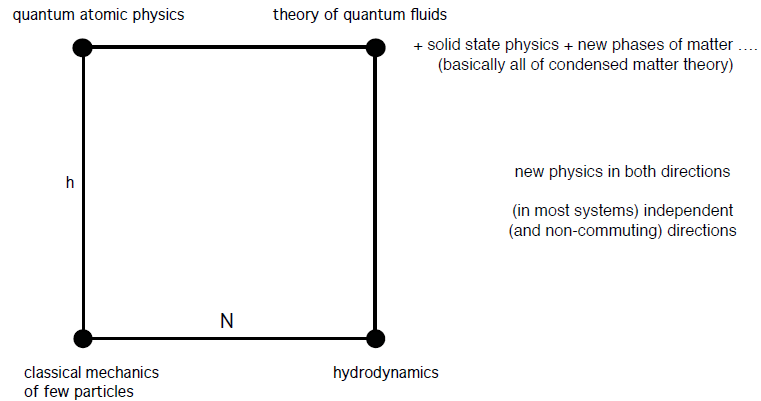 This is the realm of the beautiful Hodge and de Rham theories which are essential to a modern understanding of physics. Last time we introduced Euler’s characteristic and noted that it is an intrinsic geometric invariant. We can now take the geometry story in two different directions and we will follow it both in due time. Let us start with a game: try to cover the Earth’s surface in triangles (which can be as small as we need to follow the contour precisely). Also when we add a new triangle, color the surface green (substitute here you favorite color) not to loose count of faces, edges, and vertices. We can cover the Earth all the way around until only a last triangle is left to be colored. Up to that point, F+V-S=1 (because when we add a new vertex and we color the new triangle the number does not change), and when we completely color the surface of the Earth, at the very last step: F+V-S=2. Now imagine increasing the gravitational attraction which smoothes the surface to a perfect sphere. Nothing changes in F+V-S however. This is the key idea of homotopy: one can continuously deform a shape in such a way that no tears occur. Then the initial and final shapes are equivalent and retain some core characteristics. For example one can deform a coffee mug into a doughnut and this is called homeomorphism. Mathematically a homeomorphism is a continuous map with a continuous inverse. It is important to note that the continuous property for the inverse map is essential otherwise a line segment can be equivalent with a circle, and this contradicts the no tearing property. Now back to "intrinsic" geometrical games: suppose you are an ant on a doughnut. How can you uncover the type of shape you are on? One way is to play the triangle game from before, but what if the space is infinite, or very large? (remember that Euler’s characteristic can change at the very last step). Fortunately help comes from ancient mythology in the form of Ariadne’s thread. but with a twist: after you randomly journey through the surface of your space, make sure to always return to the starting point. Then try to reel the thread back on both ends at the same time. If your space has no intrinsic holes, and is simply connected, you will succeed to get all your thread back. However, if you go around a hole N times, your thread will become stuck. This may look like trivial observations, but it has extremely deep connections with electromagnetism and high energy physics as I will show over time. What we need to realize is that this thread game has secretly a hidden mathematical structure: a group. A group has an associative operation, an identity element, and each operation has an inverse. The group elements in our case are the trips, and the associative operation is concatenating two trips one after another. When we do that, we tie the end of the thread for the first trip to the beginning of the thread of the second trip, and try to reel in the combined thread. The inverse operation of a trip is a reversed trip, and the identity element is the “stand still” no trip. What we just introduced is the first homotopy group (or the fundamental group). Child’s play? For the first homotopy group yes, but things will quickly get out of hand. Next time we’ll generalize Ariadne’s thread game, observe that is no longer intuitive, and seek a simplification which will lead us to the wonderful craft of tailoring clothes or as mathematicians like to call it in fancy abstract and impenetrable obscure language: homology. Who knew that fashion design and making clothes is deeply relevant to understanding Nikola Tesla’s alternative current generators? More than a year ago I started this blog as an experiment, wondering if I would have enough interesting things to say. I think I ran out of simple interesting topics, and it is time to take the level up a notch. After all, how many interesting posts about strange correlations and coloring games in quantum mechanics can one do? Fortunately the quantum mechanics (and physics in general) is huge, but we need to understand its geometric language. There are three large mathematical mountains blocking our path to understanding physics the modern way: homotopy, homology, and cohomology theory. I will attempt to guide you through this terrain and explain it in as much intuitive terms as I can. Once we conquer this area, a vast and interesting landscape waits for us. Then we should be able to explain electromagnetism, Yang-Mills gauge theory, and the Standard Model. My end goal is to make the following statement self-evident: fermions are sections and bosons are connections in a vector bundle. For the first couple of weeks I will start with simple geometrical topics, and after I will attend an upcoming physics conference, I will stop the geometry posts and present impressions from the conference. Then I will resume the quest to explain the beautiful area of differential and algebraic geometry. After the discovery of Euclidean geometry, nothing happened in geometry for a long time, until merchants sailing the oceans needed accurate maps. This forced introduce the idea of coordinates and distance. Oddly enough, ancient Greeks taught geometrically using constructions with ruler and compass, but they lacked the idea of coordinates. Once coordinates are introduced, a discrete mathematical structure is superimposed on a continuous domain, and essential information about geometry is encapsulated in algebraic notions. Geometry is like playing the violin, while algebra is like playing the piano. Each piano key makes a distinct repeatable sound and is easier to play complex songs because you don’t have to worry about accurately recreating the notes. In the same way, algebraic methods are much more powerful than simply visualizing potentially highly complex geometrical spaces. Suppose you place the additional point inside of a triangle: then you add 2 new faces, 1 vertex, and 3 sides and F+V-S continues to stay 1 regardless of where you add the new point, inside or outside of the triangle. So what is the big deal? The big deal is that if you start with a triangle and add a point in space above the original plane then F+V-S changes. For a tetrahedron this number is now 2 because when you add a point in space, you create 3 new faces instead of 2 and F+V-S is able to tell distinguish between plane figures and geometrical figures in space. But can't we simply just see that a geometric objects is in space and not in a plane? Sure, but this works because we embed the object into the ordinary 3D space. If we are talking about crazy complex 26-dimesional objects for example we lack the intuitive embedding and we need a way to use intrinsic object characteristics to be able to say something meaningful.